A Canadian warship conducting counter-piracy operations in the Arabian Sea assisted a Singaporean vessel to safety on Dec. 28 after Somali pirates freed the container ship they hijacked 10 weeks ago. Being the closest NATO warship in the area, the HMCS Fredericton was called on to provide medical and technical assistance to the Kota Wajar off the coast of Somalia. 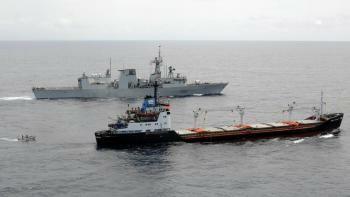 The Fredericton is on a six-month mission to the Gulf of Aden and around the Horn of Africa. Reuters quoted the pirates as saying that they released the Kota Wajar and its 21 crew members after receiving a ransom payment of US$4 million. The ship had been held captive since Oct. 15 when it was seized while sailing north of the Seychelles archipelago on its way to Kenya from Singapore. “As my team prepared for the mission, it helped to understand the plight that this crew just endured and that we could offer just a little bit of humanity to them,” said Commander Steve Waddell, HMCS Fredericton’s commanding officer, in a news release. 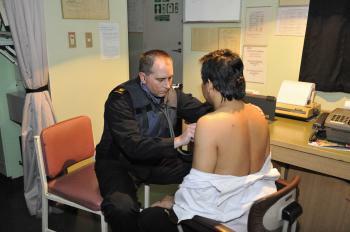 The Fredericton’s boarding party conducted a security sweep onboard the Kota Wajar while its medical specialist examined all the crew members and declared them in good health. After providing the Kota Wajar crew with fresh food and bottled water, the Fredericton escorted the ship out of Somali waters and kept track of it visually and then by radar as it sailed to a safe port in East Africa. “No law-abiding sailor should ever have to endure what these men endured,” said Waddell. The International Chamber of Commerce’s International Maritime Bureau (IMB) reported in October that the first nine months of 2009 saw an unprecedented increase in Somali pirate activity off the Somali coast and in the Gulf of Aden. The IMB reported 147 incidents in the area compared to 63 for the same period in 2008. 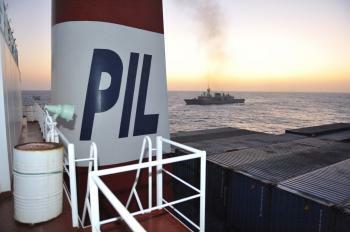 NATO has been conducting counter-piracy operations in the region, one of the world’s busiest sea lanes, since late 2008. The Kota Wajar was used by the Somali pirates as a mother ship to transport British couple Paul and Rachel Chandler to Somalia after hijacking their yacht near the Seychelles and taking the two hostage on Oct. 22. The retired couple remain in captivity following several failed attempts involving ransom negotiations to seek their release. At the same time the pirates released the Kota Wajar this week, they hijacked U.K. chemical tanker St. James Park and its 26-member multinational crew in the Gulf of Aden. They also captured Greek bulk carrier Navios Apollon and its 19 crew in the Indian Ocean north of the Seychelles en route from Florida to India. 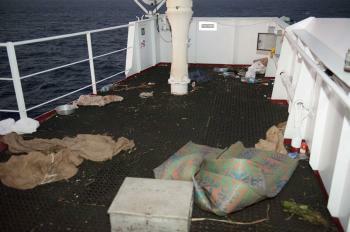 On Dec. 18, Somali pirates seized Yemeni freighter Al-Mahmoudia2 and 15 crew members after the ship left the port of Aden in Yemen. 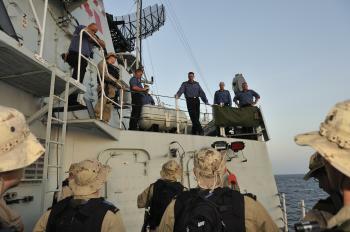 Canada’s participation in counter-piracy operations began in August 2008 when HMCS Ville de Quebec escorted United Nations World Food Programme (WFP) ships from Kenya to Somalia. Naval escorts for WFP ships are essential to prevent piracy when delivering food to the Horn of Africa country, one of the most dangerous places in the world. 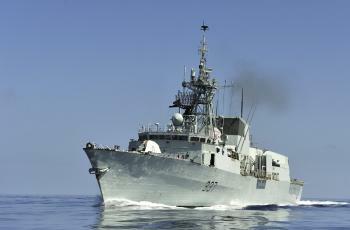 While deployed in the Gulf of Aden in April 2009, the HMCS Winnipeg was escorting a WFP freighter to Somalia when it successfully disarmed a band of pirates who attempted to attack a Norwegian tanker. With about 250 crew members onboard, the HMCS Fredericton left her home port at Canadian Forces Base Halifax, Nova Scotia, on Oct. 25 for her mission which will conclude in May 2010.